At Zerorez, we clean, restore and protect the surfaces you walk, sit, sleep and work on. We use a patented water system that creates a clean, healthy and residue-free living environment. You'll feel and smell the difference. Your surfaces stay cleaner longer when you make your home healthier with Zerorez. From soft surfaces such as carpets, rugs and upholstery to hard surfaces such as tile, grout, wood and stone. We clean, protect and restore them for you. All our services are covered by your Zerorez “You Gotta Love It” Guarantee. Simply stated; If you don't love our service, we'll make it right. No small or fine print, just a solid guarantee that assures your complete satisfaction with our work. 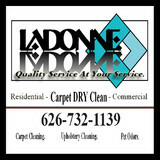 Established in 1985, LaDonne Carpet DRY Clean is the only professional carpet and upholstery cleaning service that uses all three of the top methods for carpet and upholstery cleaning. Dry Extraction Cleaning, Bonnet Cleaning and Steam Cleaning. I will use the cleaning method that works best for your carpets and upholsters. There is never an extra charge for one type of clean over another. I will simply use the system that gets the best results. No hidden or extra charges for spot removal, pre-spray, conditioning... NO HIDDEN CHARGES. 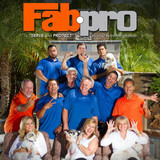 "To Serve & Protect" We are proud to say Fab-pro has been called the top stain-guard and cleaning company in Southern California. We have provided services to the top designers, furniture showrooms, upholstery shops and movie studios from Santa Barbara to San Diego for over 20 years. We believe our products, services and technicians are the very best in the industry. Our stain guard product is non-toxic and hypo allergenic with UV protection; it will not change the color or texture of the fabric. It is a permanent stain guard and will not wash out, with that we provide a life time service warranty with every application. Don and his lovely wife, Jennifer, own and operate Orange County Carpet Repair, so they take their jobs seriously. Don and Jennifer have been happily married for 20 years, have two amazing children, and a very well-loved Great Dane and a cat. The Splitts have lived in California for almost a decade and are currently living and loving their life in Southern California. The beautiful beaches, mountains, deserts, as well as their faith, keep the family very busy. (And, of course, Disneyland!) After serving in the full time ministry for 18 years, Don started repairing carpet on the side to earn some extra income during hard economic times. He discovered that he had a real gift for this highly specialized niche. He loved helping customers save the money they might have spent to replace their carpet, as well as perfecting the repair techniques that left customers amazed. He and Jennifer decided to relocate their family to Southern California (moving from Sacramento) to build their very own small business. It was part of their goal not only to continue the carpet repair work Don had started doing, but also with a larger aim: to do their part in helping to rebuild the country’s economy – as well as their own. Orange County Carpet Repair is a true family-owned and operated business. The Splitts are serious about treating their customers with honesty, integrity and hard work to ensure they receive fair prices and the greatest value for their money! Complete customer satisfaction is our goal at Orange County Carpet Repair! We use only the highest quality products and equipment, and work with only experienced professionals. We have consistently focused on the needs of our customers, providing personalized attention and a stress-free customer experience. We specialize in repairing and restoring carpet to its original beauty when damaged by water, pets, burns, ripples and waves and we give free (and fair!) estimates over the phone. Breeze Carpet Repair San Diego was established by Pete Barraza in 2015 Far from being a beginner, I have been in the carpet installation and repair business for about 25 years. Originally from Chicago, I’ve work for some of the giants in the carpet industry such as New York Carpet World, Carpetland, Alpha Carpets and L.Trevino Carpet and Tile. 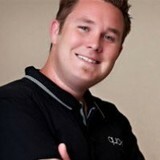 After vacationing in San Diego, I decided to follow my dream to move to San Diego and did so in 2008. Formerly of San Diego Carpet Repair for the last 2 ½ years, I’ve also worked for Holly Home Carpet and Harmony Flooring for Lowe’s to name a few. Even between working for these companies in both cities, I still managed to run my own part-time business as Pete’s Carpet Service and now officially launched my new company, Breeze Carpet Repair. I hope you will check out my web site and Facebook page and meet the inspiration for the name…my dog, Breesy. Maybe you will meet her one of these days. I have a lot of pride in the work I do and when you call, you’ll speak to me and I will be the one doing the work. 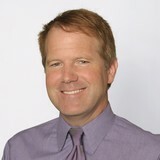 I specialize in carpet repair with a long background in carpet installation. But these days I concentrate on the carpet repair and only do small installs if needed. At Classic Floor Care we have been cleaning all types of flooring and upholstery for the past 28 years. We have encountered some tough spots during that time. Black grease, red lipstick, yellow pet stains, and multi-colored crayon masterpieces have been scrubbed clean many times, in many places. Our team of professionals work in homes, stores, shops, schools, and office buildings throughout Southern California all day and night. We are licensed and insured to clean even the toughest spots or stubborn stains that your children, customers, or workers can dish out. Call and challenge us to cleanAspot, today! Mission Viejo carpet cleaning company specializes in mold damage cleanup and repair. Other services include mold inspection and mold removal. For all of your carpet cleaning needs, the professionals at Carpet Cleaning Placentia are the steam cleaning and mold prevention experts. They are recognized throughout California for their expert advice and specialized training, and are the number one choice for home and business owners alike. Complete customer satisfaction is our goal, and this is how we’ve achieved our excellent reputation over the years. It is our priority to ensure that after you’ve employed our team to work their magic on your carpets, upholstery or tile and grout that you are left with a healthier, happier environment. Hopefully by now, you’ve heard of all the important reasons for maintaining your carpets and regularly scheduling professional carpet cleanings. Protecting your carpet investment, increasing its longevity, improving indoor air quality and simply adding to your home or business’s appeal are among the top benefits of clean carpets. The professional team at Carpet Cleaning Santa Ana are renowned throughout California for their unrivaled expertise and high quality service. Residential and commercial owners alike can rest easy knowing that their delicate rugs, carpet or upholstery needs are in safe and qualified hands. 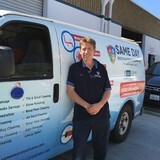 Second to none, the team at Carpet Cleaning Orange are the best in California. Their qualified and friendly technicians are trained in a variety of skills to keep carpets looking as good as new – whether it be a general carpet clean or a more specialized approach. Carpet Cleaning Costa Mesa is a well-known company in California. Not only do they have some of the best experts in the industry, but their list of services include steam cleaning, upholstery cleaning, and everything you need. What should I look for in a local Mead Valley carpet cleaner? Not all Mead Valley carpet cleaning companies use the same methods, but there are a few common things that they should do to for a quality job. Make sure they do an analysis on the area you need cleaned and recommend the best course of action — are there large stains or high-traffic areas that need extra treatment or attention? Also, make sure they provide quick drying times so that you can be back in your home faster; that means hours, not days! A good carpet cleaning service in Mead Valley, CA should move furniture (within reason) and put it back in place when they are all done; don't let them charge extra to do this. Another important factor to look out for is whether or not the carpet cleaners use chemicals, and if so, they should be asthma- and allergy-friendly. This is especially important for households that have children or pets. Lots of Mead Valley carpet cleaning services also clean rugs. Rug cleaning can involve anything from a simple wash to complete re-weaving or foundation work. Make sure the local rug cleaner you choose has experience with the types of rugs you need serviced, especially if they are hand-woven or Oriental rugs. What should I look for in a local Mead Valley upholstery cleaner? Upholstery comes in many more varieties than carpet and rugs, thus needs cleaning tailored to each specific blend. Even if you don’t know what material your sofa or chair is made with, a good upholstery cleaning service in Mead Valley, CA will be able to identify it and treat it appropriately. Some textiles require dry cleaning and that can’t be done in home, so if that’s the case, check with the upholstery cleaner and see if they offer pickup and drop off services. Leather cleaning is a bit different and often involves more restoration and conditioning than actual cleaning. Make sure the Mead Valley furniture cleaning service specializes in leather if you are considering them for the job. Find Mead Valley upholstery and carpet cleaning services on Houzz. Narrow your search in the Professionals section of the website to local carpet cleaners in Mead Valley, CA and read reviews and ratings to find one that fits your needs.